Doctor Who: The Next Great Companion | Warped Factor - Words in the Key of Geek. Tony Fyler is painting his Benny banner as we speak. The further we get from 2005, the less and less Doctor Who as a story and a phenomenon becomes divisible into Classic Who and New Who - new Doctors have been fighting Classic monsters since episode 1 of Series 1, when the Pertwee favourites Autons tore up the Ninth Doctor's debut. Coming soon, Big Finish tells us Classic Doctors will return the favour and further harmonise the one world of Doctor Who when they take on New Who villains in a range of audio stories. The media-bleed from the TV canon to the audio world and back has also been long established - Rob Shearman's Dalek episode in 2005 drew, however obliquely, on his earlier Big Finish adventure. The Age of Steel and the Rise of the Cybermen were credited on-screen as being heavily inspired by the Big Finish Cyber-origin opus, Spare Parts, and Human Nature and The Family of Blood were adapted directly from the Virgin New Adventures novel of the same name by Paul Cornell, originally starring the Seventh Doctor and his literary (and later audio) companion, Professor Bernice Summerfield. 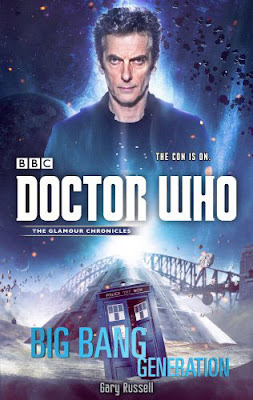 Night of the Doctor, the 'minisode' which whetted appetites for the fiftieth anniversary brought the Eighth Doctor in from the cold and in a gift to loyal Big Finishers, legitimised his audio companions as that most mysterious and fluid of things - canon. Now with New Who elements appearing in the previously 'Strictly Classic' Big Finish range - Kate Stewart, Winston Churchill, River Song and Strax to name just a few - it seems the Doctor's universe has never been more united than now, across platforms, timestreams and chronologies. And just last week, on September 10th, one of the last literary barriers was broken, when Seventh Doctor companion Professor Bernice Surprise Summerfield appeared in Twelfth Doctor novel Big Bang Generation by Gary Russell. Fans never need an excuse to come up with impractical, improbable and wonderful ideas, so here’s one inspired by that news. 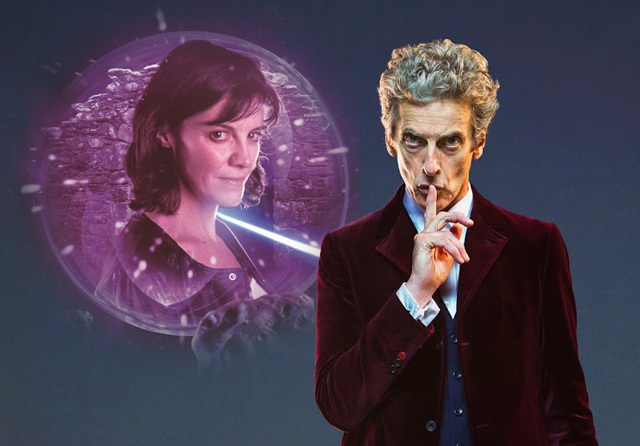 When Clara Oswald finally hangs up her Tardis key (and if we believe today's edition of The Mirror then it may be happening sooner rather than later), Bernice Summerfield should be the next on-screen companion. For those who have no idea of her character, Benny's an archaeologist (yes, another one), who has her own life, her own complex background, but because she was created outside the TV environment, there's never been any need to make her the Doctor's wife, or make her ‘the only person in the universe who can draw the threads of causality together’ or any of that stuff. 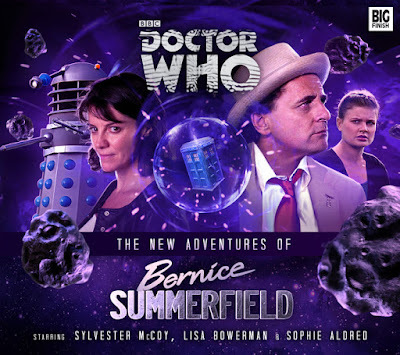 Benny’s already had a hell of a journey up to this point, but as the recent Bernice Summerfield box-sets have proven, you don’t need to know acres of that journey to jump on board and fall in love with the character. To sum up the character is tricky – it would be fair to start with River Song, then take out all the bits many Who fans can’t stand – the ‘Sweetie,’ the ‘Spoilers’ the emotional entanglement, the ‘all about making this look cool’ strut. Make her actually do some archaelogy. But keep the free spirit – Benny could probably drink Captain Jack under the table, and would have a few ideas what to do with him when he got there (she once blew teenaged fans’ minds by having a liaison with an Ice Warrior – Fifty Shades of Green?) But then you add in scads of other elements – she’s been married, been a mother, knows what it is to care for people, and that the Doctor’s lifestyle frequently gets those people in the way of Imminent Death and Running. Benny is like your cool elder sister or favourite aunt - the one who introduces you to booze and lets you stay up late, but always has your back when the police come calling. Always ready with a smart comeback (no, a really smart one, rather than something a writing team want to turn into a catchphrase, repeated ad nauseum), with both the withering scorn and the playfulness of a Romana, the capability of an older Amy and the sense of responsibility of Sarah-Jane in the days of Bannerman Road. "She's my carer. She cares so I don't have to." "Nice try, David Copperfield. Ooh, look, runes!" Of course, there are obstacles. Firstly, as we mentioned, Lisa Bowerman's a very busy actress and more particularly director. It would undoubtedly be a big commitment to return to on-screen Who in a companion capacity (she made her debut in Classic Who in Survival, the last out and out Sylvester McCoy story). And besides, while I remain inured to the arguments of the 'We demand Moffatt's head on a spike' brigade, Benny was created outside the TV environment, and there's a legitimate worry that if you leave Benny in the hands of the current production team too long, what you get might be closer to River Song than anyone would really wish. But on balance, I’m choosing to dream that such a thing is possible. That there’s a middle ground between blinking young girls who turn out to be impossible and seen-it-all strutters who turn out to be the Doctor’s wife. 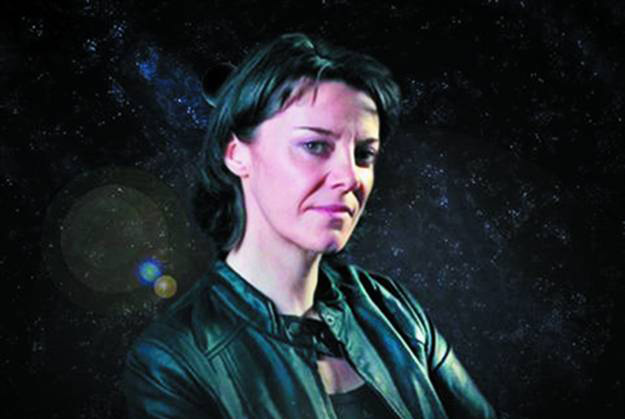 There’s room in the middle for Professor Bernice Summerfield, a companion born in print, elevated on audio, and surely destined to fulfil her destiny on-screen, taking on the universe on her own terms, with a Time Lord by her side. The Twitter campaign starts tomorrow.